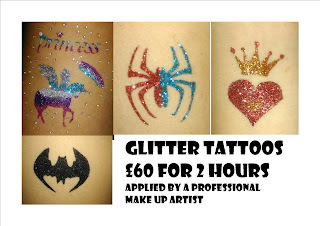 Glitter Tattoos applied by a Professional time served Make Up Artist. Tattoos are Semi Permanent and can last up to 5 days. 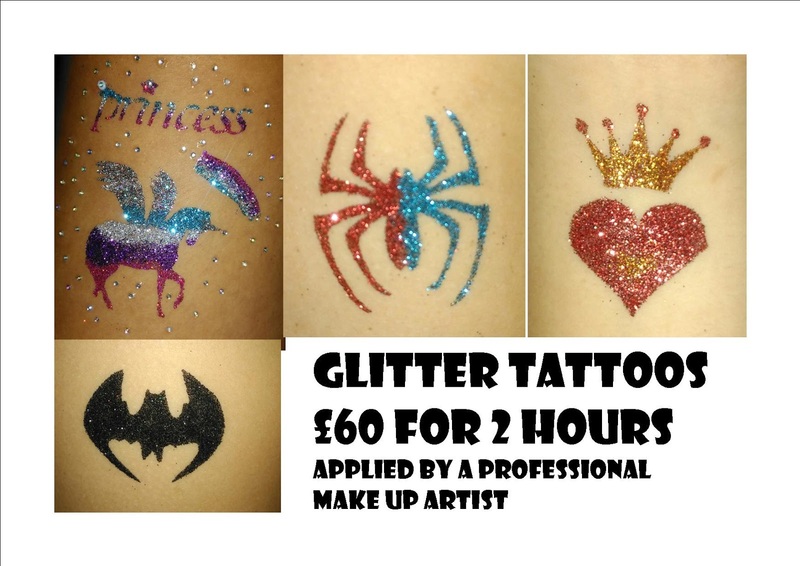 A Sparkly alternative to face paint, that is Suitable for both Girls and Boys.